Despite affordable airfare and long distance bus services like Baz Bus, renting a car is one of the easiest and cheapest ways to see the most of the country. 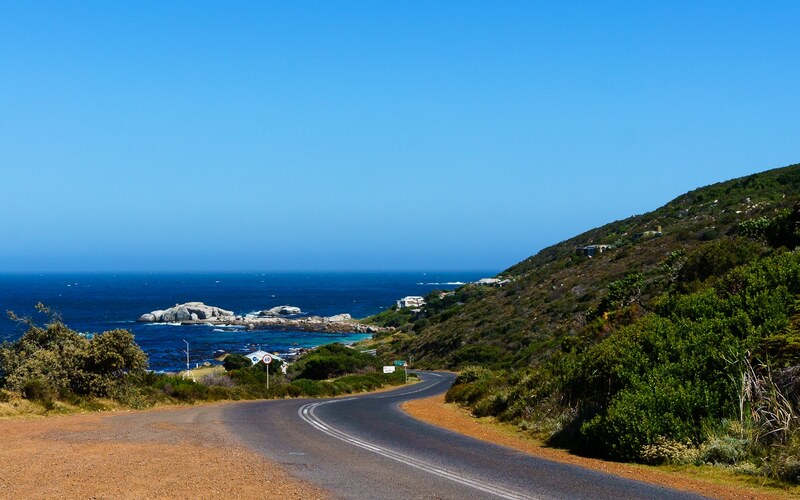 Renting a car is almost required for popular trips like the Garden Route/Whale Route, Panorama Route, or visiting Kruger National Park without a guided tour. Unfortunately, some South African rental companies are notoriously shady so it’s best to go in eyes open. We had both great and miserable experiences while renting vehicles in South Africa and have some advice for renting a car in South Africa to ensure everything goes as smoothly as possible! 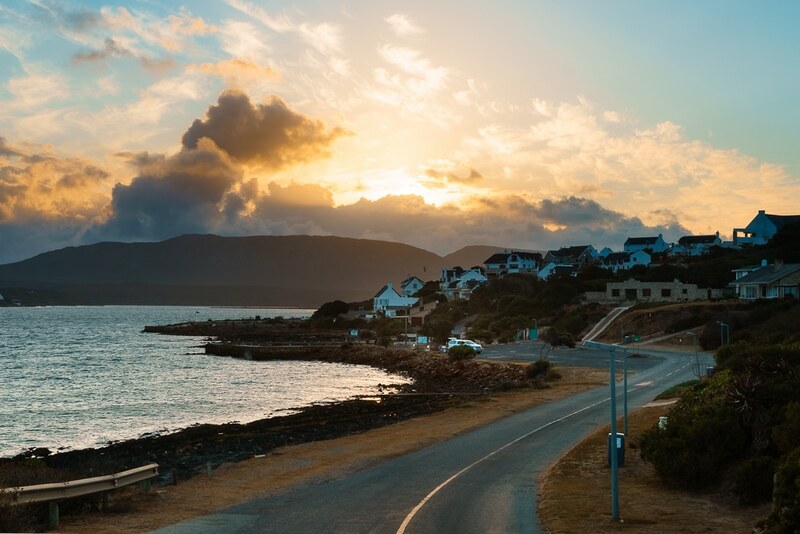 Some of this post will be general advice that applies no matter where you’re renting a car, but other bits of advice are specific to South Africa and the way that their car rental industry operates. 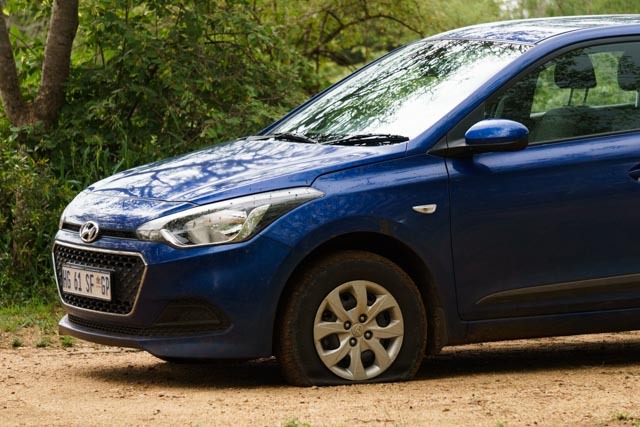 Regrettably, you can find several threads on the internet describing South African Car Rental horror stories, this should help you avoid experiencing one yourself. In general, you’ll likely find the best price while searching online using something like TripAdvisor or Expedia rather than going directly to the South African merchants’ websites. Be sure to check that whatever company you end up using has roadside assistance in case you have any issues with the car. Before you book go look at all available public reviews on Facebook, Google, and Trip Advisor for the South African arm of the company and read them thoroughly. If they’re consistently negative it’s likely worth paying more to rent with another agency rather than rolling the dice on a poorly reviewed one. Also know that if you trust an international company outside of South Africa, there is no guarantee that you can expect the same quality in South Africa. This is because many well-known car rental companies in South Africa unfortunately operate somewhat independently from their parent company. This happened to us with Budget/Avis. We’ve used them in North America and had great experiences but when we rented from Budget/Avis South Africa, our experience was absolutely horrible. We had a good experience using EuropCar in Cape Town for the Garden Route but had a miserable one with Budget/Avis in Johannesburg and looking at reviews afterwards, we’re not the only ones. In hindsight, we wished that we had dug a little deeper and seen the Facebook reviews for this branch as many people experienced the same thing as us. Instead, we had only skimmed the Trip Advisor and Google reviews (which unfortunately, can be faked. It’s a well-known problem for both sites). It’s always a good idea to have insurance when renting a car, especially in a foreign country. In general, for rental car insurance you should have a Collision Damage Waiver and Third Party Liability. The first covers damage to the car itself, the second, damage to others. Most people know that rental agencies make a killing off selling overpriced insurance so if you can, go on your trip prepared. You may have coverage in your car insurance policy at home, or on your credit card, through a Motorist’s Association, or you can purchase it cheaply online. The most important thing is to make sure that you’re covered. You can be the best driver on the planet but you never know what could go wrong or what damages the rental agency might allege so make sure you have some sort of coverage to protect you. Another note, many policies don’t cover tire damage or glass so do some research on where you’re driving. Some roads in South Africa are fantastic and others are terrible. For instance, on the Panorama Route you can find pot holes that are pretty much large enough to engulf an entire car. You should also ensure your policy covers theft or break-ins. Make sure you read the fine print and know what you’re covered for! A common scam is for many car rental companies in South Africa to claim “damage” to otherwise perfect-looking cars if you decline their astronomically priced in-house insurance and there is a deep trove of horror stories, including our own, to be found on the internet to that effect. Of course, insurance helps in these cases but do protect yourself with lots of pictures. If you’re using your phone or camera, make sure the date and time are accurate in case there are any discrepancies with any that the car rental might have. Take pictures of every detail on the check-out inspection and at drop off. If they tell you that they’re marking it down take pictures anyways. If they don’t mark scratches on the form, insist that they do so before you sign. Check the trunk (ok, you’re in South Africa, they call it a boot) for a spare tire as well. Most agencies rent cars on a “full to full” policy so ensure that you gas the car up before returning it. Again, take a picture of the full gas gauge as well as your receipt as you might be surprised to find a gas charge (at a ridiculously marked up rate) on your final invoice even if you filled up seconds before returning the car (happened to us with Avis/Budget SA). If you intend to leave the country with your rental car and drive to a neighbouring country you will need a letter with permission from the rental agency. This will likely cost extra. You may also need to prove that you have insurance to leave the country. Some countries may require an additional level of coverage as well. For example, we saw businesses advertising 3rd party liability coverage insurance as a requirement to drive to Mozambique which could be picked up at Outdoor Warehouse. Is it Safe to Rent a Car in South Africa? After all of this advice you may be wondering if it is actually safe to rent a car in South Africa? Yes! That said, make sure you protect yourself from unscrupulous activity. While most operators are probably fine there are a few bad ones that give the entire industry a bad name. In addition, for your own safety, here are few security precautions you should take while driving in South Africa. 1. Don’t leave your belongings visible in the car. Even if it’s something as little as a USB cable or a couple rand make sure it is hidden from eyesight. Smash and grabs are a relatively common crime in South Africa so don’t give anybody a reason to break into your car. Also, lock your doors and keep the windows rolled up when driving in urban areas. When you park, try to do so at a supervised lot. 2. Contrary to popular belief, you’re not allowed to run a red light at night in South Africa. The urban myth of the “Johannesburg Stop” is incredibly dangerous and puts you at risk of a serious collision, so avoid doing it. If you don’t feel comfortable waiting at an intersection at night the common advice is to stop, look around, and proceed cautiously. Essentially, treat it like a four way stop. 3. Better yet, avoid the roads at night in South Africa if you can. At night, large vehicles (semis, buses, etc) take over the highways. You also can’t see wildlife or potholes on the road as clearly, and more rural roads may not have reflective markers. Plan to arrive at your destination before the sun sets! 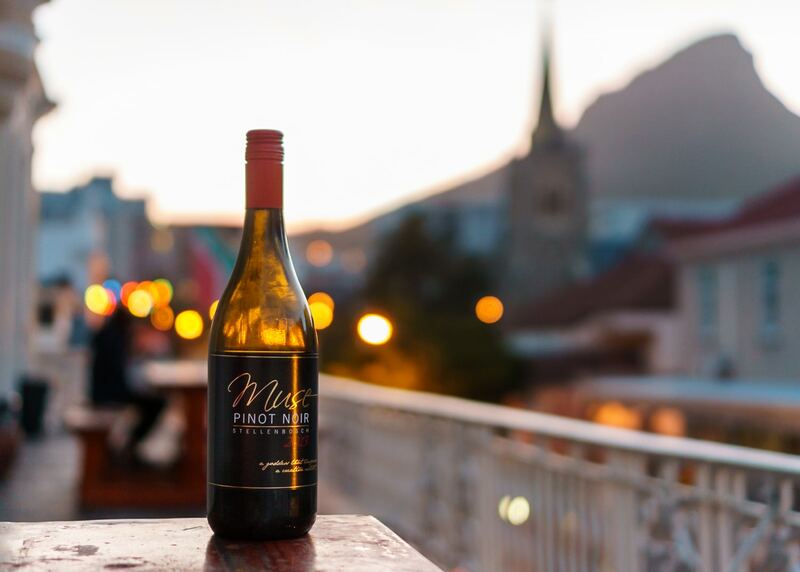 Besides, you’ll want time to enjoy a Sundowner anyways. Of course, unlike most of the world South Africa drives on the left instead of the right so that takes a bit of getting used to. Most rental cars are manual transmission so if you need an automatic you’ll likely have to pay a little more, and even if you are used to driving a standard keep in mind that everything will be on the opposite side of the car which takes some adjustment. You’ll see drivers of all speeds when you’re on the road in South Africa. Some will fly by you with seemingly blatant disregard for the speed limit while other vehicles will crawl along seemingly going only a few kilometres an hour. Slower moving vehicles have a tendency to move to the left to let you pass even if there’s only one lane. Proceed cautiously as sometimes the shoulder ends abruptly leaving them no choice but to pull back into the lane. Whether it’s a tourism tax, one way fee, gas (even if you’ve filled it to the brim), administration fees, toll administration fee etc, you can likely expect several rand to be added to your invoice after the fact. Some of these will be legitimate but keep your rental contract and photos handy in case you need to fight for fees to be reimbursed afterwards. Photo radar is widely used in Cape Town, along the Whale Route and, and on the Garden Route. If you get a ticket you’ll have to pay that and the rental agency will likely tack on an “administration fee” as well. The speed limit on South African roads seems to fluctuate wildly and signage is a bit lacking at times, so if in doubt, take it easy! Tolls are similar in that most are charged to the car automatically along with an administration fee. Always keep small change available as you will need it to tip gas attendants (who will fill your car, check your oil, clean your windows, etc) and parking lot attendants who watch your car while you are away. Also, traffic lights are called Robots which we kind of love. As we outlined earlier, make sure you do your research and don’t necessarily trust a company based on their international operations. In our case, the Avis/Budget branch (Rosebank) we used in Johannesburg had similar reviews to other companies until we checked their Facebook page (unfortunately after the fact) where we saw multiple people saying that they had the same problems we did. We checked the Facebook page too late but that doesn’t mean that you can’t learn from our experience! At any rate, our advice is to avoid Budget/Avis in South Africa until something changes. Here is our long, drawn out, stressful, and disappointing car rental experience with Budget/Avis. A month after returning the car, I received a credit card charge for 8 TIMES the originally quoted price. Obviously, I was shocked so I pulled up the invoice to see what these extra exorbitant charges could possibly be but it only indicated that an extra $1100 or so was categorized as “misc fees”. It took over a month to get clarification from Budget/Avis as to what these “misc fees” actually were. Bear in mind, that we had to pay this bill in full before we even received a complete invoice. The detailed invoice that took over a month to materialize indicated that the extra fees were for “damages.” Now, the only issue we had with the car was a flat tire which we were prepared to pay a small fee for. The employee stated on the phone that it should cost no more than 800rand (or about $80cad to replace the tire). When we picked up the car, the front desk agent told us that a replacement car if we had any issues was included free of charge. Now we were staring at a bill for over a thousand dollars in repairs, “damage fees”, “new car delivery fees”, fuel surcharges, etc. When the employee picked up the car from us at our campsite in Kruger National Park we filled out the form together acknowledging tire damage and both signed it. After driving some 300km and having the car in his possession for 22 hours, he called us to say that there was “a crack in the bumper” that he missed before because the “car was so dirty”, so he would be modifying the form that we had both signed off on to reflect this new to us damage. We told him under no circumstance was it okay for him to modify a previously signed form in this manner (because FRAUD) and we did not agree to pay for any damages that we had not yet seen for ourselves. He responded with “I’ll call you back” but then never did. This was the condition of the car before the employee put the spare tire on and drove it away. As you can see, all that is wrong with the car is a flat tire. Understandably, we couldn’t fathom how a flat tire could end up costing over $1100 to replace and if there was actually a crack in the bumper, it would have had to be a pretty minuscule one, so we asked for further documentation of these damages that we were charged for. This documentation took another month to be provided to us by Budget/Avis but when it finally was our jaws dropped. The company was claiming that an entire front end job was necessary to repair the flat tire. 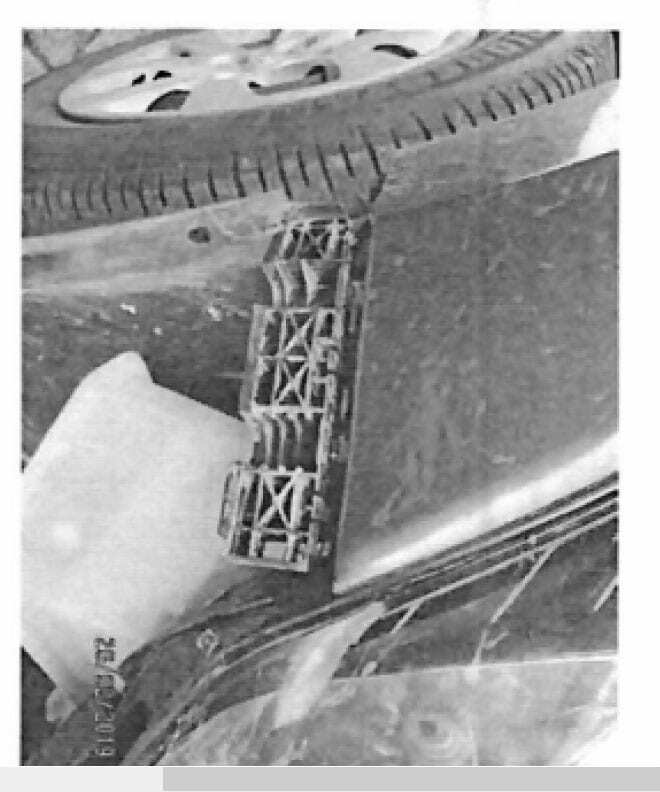 Incredulously, the employee claimed to have missed the fact the bumper was practically destroyed at the time of the initial inspection. Nevermind the fact that the timestamp on the picture is several days after we returned the rental and had left the country! This would have been pretty hard to miss! We are disputing it of course and have received some money back from insurance but it’s pretty outrageous that our $200 car rental turned into almost $2,000 over a flat tire and what I’m pretty sure is good old fashioned fraud. So with that in mind, I can’t stress enough that you need to save all your documentation including fuel receipts, take lots of pictures both before and after you drop the car off, and check your bills over thoroughly. Our other rental experience with EuropCar was great until they charged a mysterious extra $100 after the fact that they said was for “insurance waivers”. We were slightly annoyed with this because we provided documentation of our own insurance when we picked the car up. Nevertheless, we got in touch with their customer service department who informed us within a couple of days that if we sent the proof of insurance again, they would refund the fee, which they did. That is what customer service should be, so we are still comfortable recommending EuropCar for a good budget option in Cape Town. Budget/Avis South Africa on the other hand, run as fast as you can. Like I said earlier, most rental agencies are probably fine. It’s a few bad actors that ruin the reputation of the entire industry. 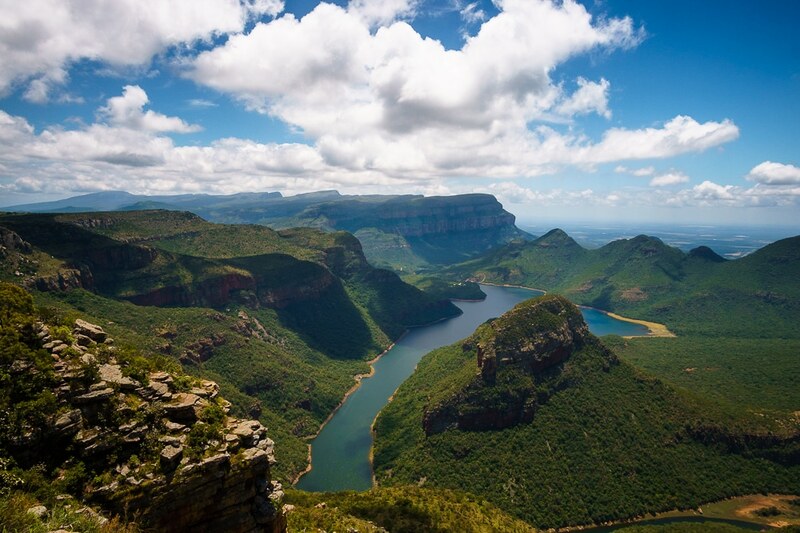 South Africa is a supremely beautiful country and it seems no matter which corner of the country you look there’s something amazing to see. 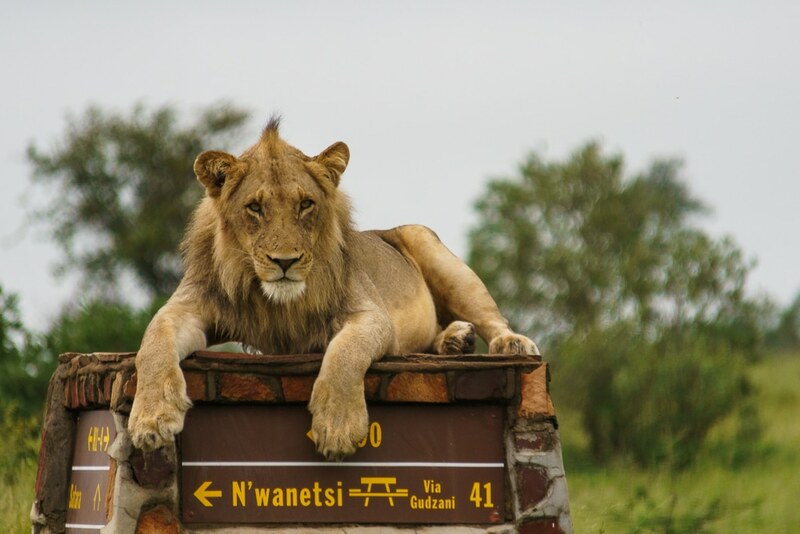 Exploring the country practically requires renting a car and there are several stunning road trips that you can take like the Garden Route, the Panorama Route, or even a self-drive safari in Kruger National Park. 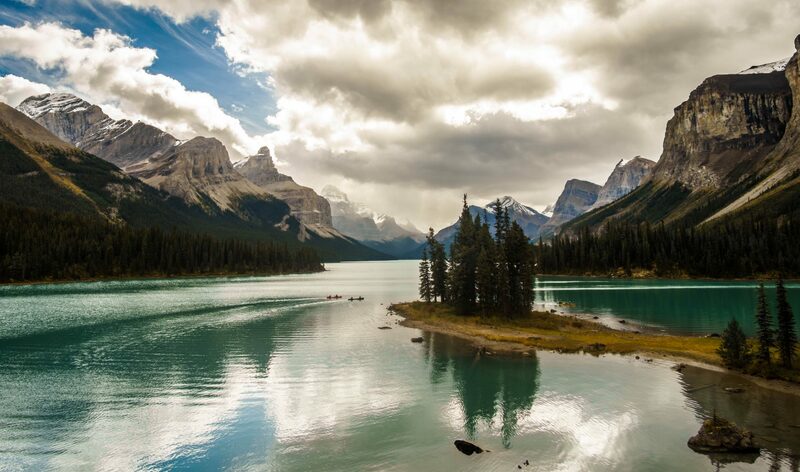 Heed our advice and you’ll be able to head back home with amazing memories of the country rather than frustration with a poor car rental experience! 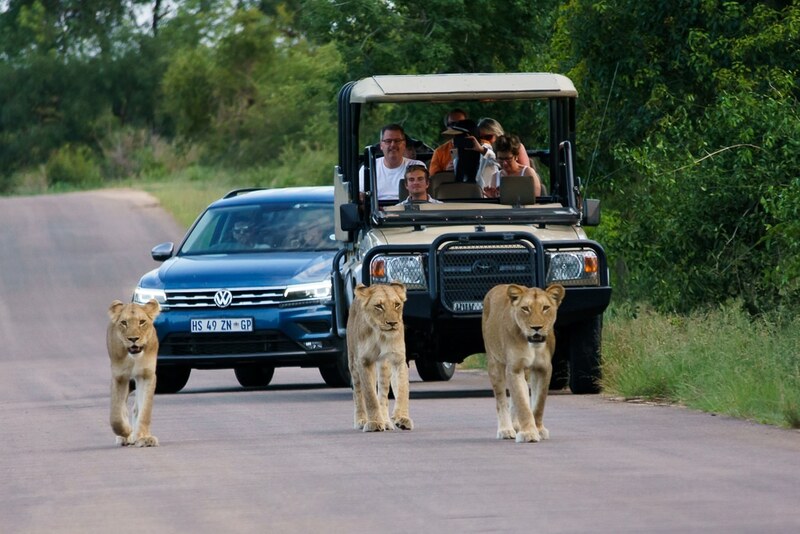 Hopefully this is the only car trouble you have in South Africa: a typical traffic jam in Kruger National Park!